Ta Hien Street in Hanoi Old Quarter which is often called as Pho Tay (Foreigner Street) is busier at night, particularly at the weekend with large numbers of foreigners. Along the street which is just more than 200 metres long are French-styled old houses. 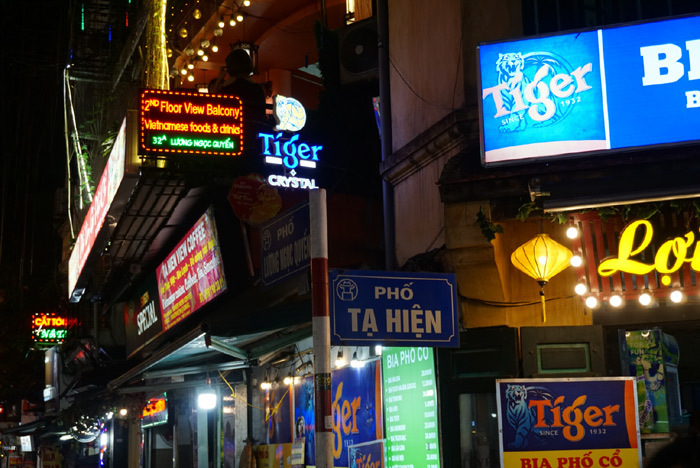 At night, the street is more exciting with the operation of souvenir shops and street food services. 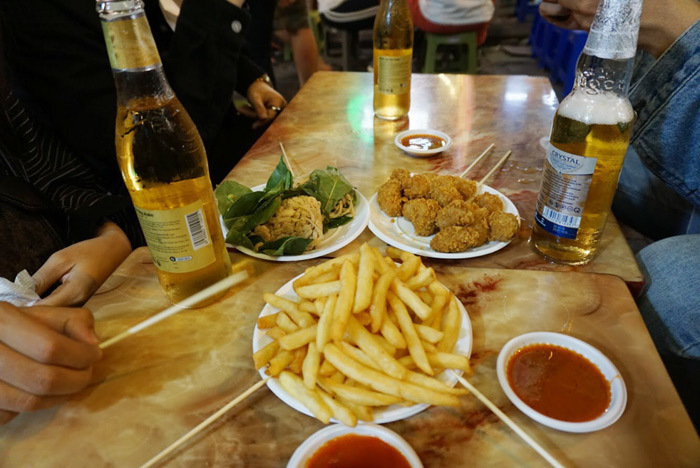 Hanoi beer is among the most popular dishes sold in the street. 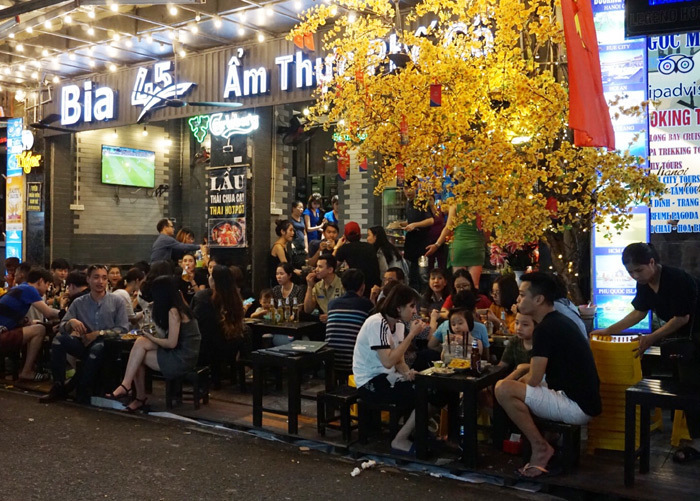 This is the reason why Ta Hien is also known as Pho Bia (Hanoi beer street). 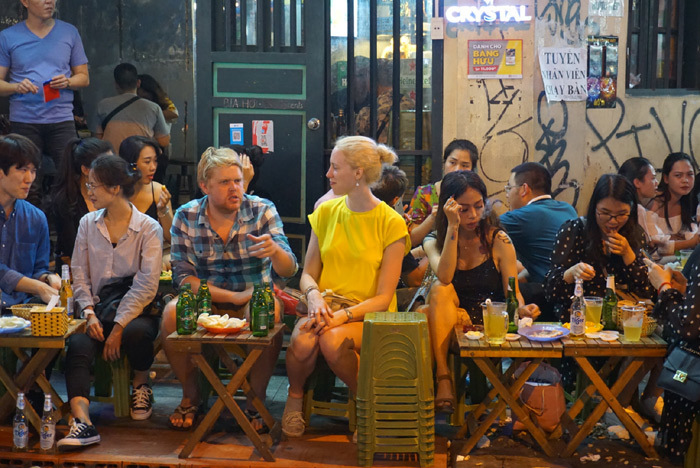 Most international visitors to Hanoi usually do not want to miss the street. The place also attracts many Vietnamese people. There seems no language barrier between local residents and tourists as they greet one another and then clink their beer glasses. 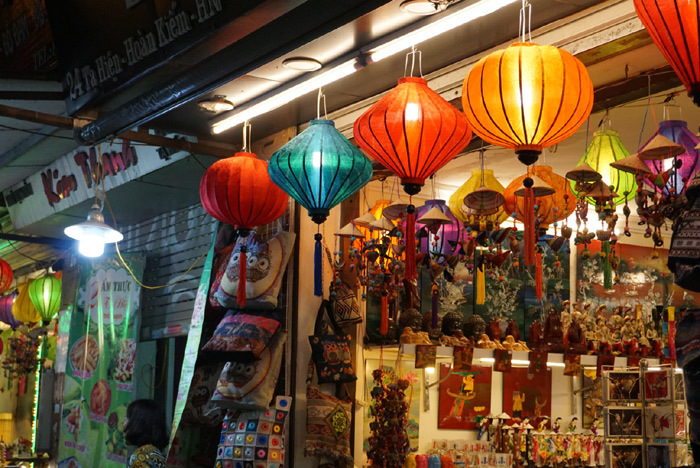 The nearby Ma May Street which has many traditional handicraft products receives many visitors at the weekend. 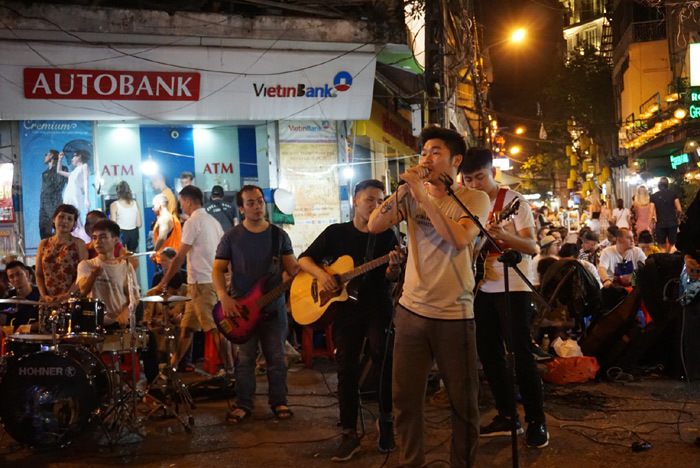 Meanwhile, visitors can see street art performances at Luong Ngoc Quyen-Ta Hien-Ma May T-junction, including both modern and folk music. The street is also home to bars.